JMSA had its first Journal Club meeting on October 20th, 2016. The event was organized by Shoko Mori, a third year medical student at SUNY Downstate College of Medicine and 2016 Raymond Sekiguchi MD-JMSA Scholarship Recipient. The JMSA Journal Club, her scholarship project, was started in the hopes of bringing together JMSA students, researchers, and physicians in an educational and meaningful environment to learn about current research topics and also network with other JMSA members. Her mentors for the project are JMSA physicians Dr. Maki Kano and Dr. Yuzuru Anzai. The first meeting of the Journal Club was facilitated by Dr. Satoko Kanahara, who is a board certified Internal Medicine and Pediatrics physician practicing at Community Healthcare Network in the Bronx. The two papers that were discussed were “Body-Mass Index in 2.3 Million Adolescent and Cardiovascular Death in Adulthood” by Gilad Twig et. al published in the New England Journal of Medicine and “Timing of Allergenic Food Introduction to the Infant Diet and Risk of Allergic or Autoimmune Disease: A Systematic Review and Meta-Analysis” by Despo Ierodiakonou et. al published in JAMA. 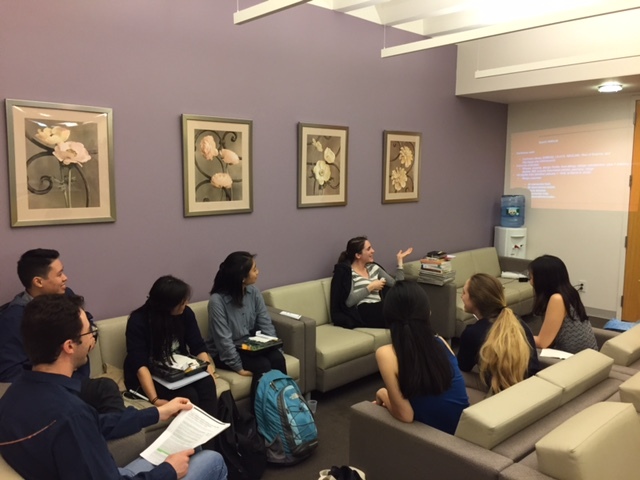 The event was attended by medical students from Mount Sinai, Cornell, Columbia, and SUNY Downstate, and was a great opportunity to meet other students and learn from these two journal articles. The JMSA Journal Club will hold its next meeting in the Spring and hopes to continue to bring together more JMSA members.